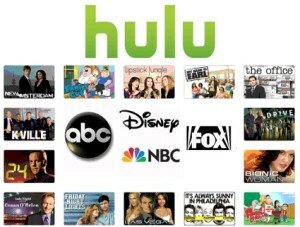 What neither executive said but surely understands is that Hulu will not be competitive at offering SVOD movies if they have advertising breaks in them. There are simply too many other, ad-free options for watching those same movies, as Netflix’s chief content office Ted Sarandos pointedly noted in a blog post explaining the decision not to renew the deal with Epix. Nor is advertising likely to be an effective monetization strategy for such “premium programming,” given what Hulu probably paid for the rights. Though terms of the deal were not disclosed, Netflix is believed to have paid Epix $1 billion over the five-year life of its deal, and with blockbuster franchises like “Hunger Games” pulling the train it’s unlikely Epix would have taken less this time around. The big question facing Hulu as it contemplates adding a premium-plus tier is whether simply offering its current TV content without ads is enough to persuade people to pay the $12-$14 a month it’s reportedly considering. Netflix already offers TV content without ads, after all, for $10 a month. To make a go of a premium-plus tier, Hulu will need to offer a more robust selection of premium content — like popular ad-free movies of recent vintage.